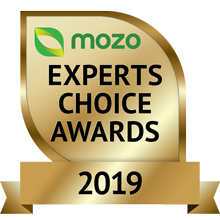 Congratulations to the 2019 winners of Mozo Experts Choice Awards for Home Loans. We’ve compared over 436 home loans for this year’s awards, so if you’re after a loan to buy your first home, want to refinance your existing home loan or are looking to invest in property this is a great place to begin. The Mozo Experts Choice Awards are the result of intensive research and expert analysis, recognising the best products in the market for all Australians. Mozo is proud to produce awards that you can trust. Providers don't pay to be assessed, nor do they nominate themselves. Rather, Mozo gathers data from across the market and applies in-house expertise to find those products that offer consumers great value, high quality or innovative features. For the 2019 home loan awards, Mozo’s money experts compared 436 home loans from 85 lenders. Given that we all have different borrowing needs, we’ve categorised the winners into several categories to help you narrow down your search in finding the best home loan for you. This varies from low deposit home loans for first home buyers, investor only home loans to home loan packages that are a cost effective way to keep all your banking in one place. For details on how we crunched the numbers and determined the award winners, see our methodology report. Having won more awards this year than any other bank, Greater Bank has deservedly taken out the Home Lender Bank of the Year. With a myriad of loans to suit all borrower types, and the ideal all-rounder bank, it's little wonder Greater Bank is hard to beat. Scooping awards across a wide variety of owner occupier and investor categories, Tic:Toc's specialty on delivering value for a wide range of customers has earned them the title of Online Home Lender of the Year. A budding newcomer, Tic:Toc has made a name for itself by creating technology to help speed up the home loan approval process, with some loans being approved in as little as 22 minutes. Recognising the lowest cost variable rate home loans in the market, our experts examined the rates and fees of 265 loans from 84 lenders, and have declared these products the winners. Loans with an offset account can provide extra flexibility and help reduce interest costs. The winner of this category needed a variable rate loan that offered a 100% offset account, and also needed to be one of the cheapest in a field of 185 contestants. Conveniently having all your banking needs in one place can make life simpler and taking a package can be a cost-effective choice. As well as being one of the lowest cost loans, to be considered in this category the lender also had to provide a fee free bank account and credit card. To be considered for this award, a variable rate loan had to allow for a loan-to-value ratio of at least 90%, to reflect the smaller deposits of first home buyers. Fixed rates remain a popular choice for some borrowers. For this award our experts identified the lenders with the lowest costs over a range of fixed terms. To do this they calculated the annual cost of each fixed rate term offered and found the average of the three best results. Our experts combined the results of both the variable and fixed rate awards to find the winner in a pool of loans that offer the lowest cost offerings and giving the best of both worlds for borrowers. Opting to make interest-only repayments is an important feature for many property investors. This award identified the lowest cost variable rate loans that give borrowers the choice of whether to make principal repayments or not. Our expert calculations blended costs for both repayment options, making these loans good value no matter which option is chosen. The security of fixed rates remain a popular choice for many borrowers. For this award, our experts identified the lenders with the lowest costs over a range of fixed terms. Calculating the annual cost of each fixed rate term offered, our experts found the average of the three best results. The calculation was performed using rates applicable to both principal & interest and interest only loans. A new market entrant well worth a round of applause, Well Home Loans launched just last year. Making a splash with their 'Balanced' loan offering one of the lowest rates around, plus options including adding an offset account for just $10 per month, free redraw, and the ability to split between fixed and variable rates, this newcomer brings fresh new value to the industry. Our experts scoured the market for new or innovative features, and chose the ZIP Home Loan as the stand-out. Including a $5,000 limit Visa Debit Card that is interest-free, this gives customers the convenience and functionality of a credit card without the extra cost, a great feature for people taking out a new mortgage and a welcomed addition to the home loan market. What was the judging criteria for these awards? Every day Mozo keeps track of thousands of products in banking, energy and insurance. The Mozo Experts Choice Awards recognise home loan products that deliver exceptional value or benefits to consumers. Our facts-based opinions mean that we don’t play favourites and providers don’t pay to be in the running. Our Judges base their decision on hard-nosed calculations of value, using Mozo’s detailed product database and research findings. Our awards methodology report is available for you to read, which includes information on the criteria for each award category. Where can I find more information about home loans? If you are after more general information, whether its about features of a home loan or tips for renovating, online calculators, reviews and more, check out our home loan resources section of our website. How many home loans were compared for the Experts Choice Awards? For the 2019 Mozo Experts Choice Home Loan Awards, our experts crunched the data on 436 home loans from 85 lenders to find the lowest cost home loans in each category. Who are Mozo’s product experts? Mozo has been researching and comparing financial products for over a decade now, and thousands of Australians use our comparison services each month to find the best deal for them. Our research team is headed by our Data Services Director and our Product Data Manager who have over 60 years of financial services experience and 29 years in online financial comparison. I work for a financial provider, how do we promote our award win? Please get in touch with us to discuss by emailing or calling our advertising sales team on 02 9037 4368.